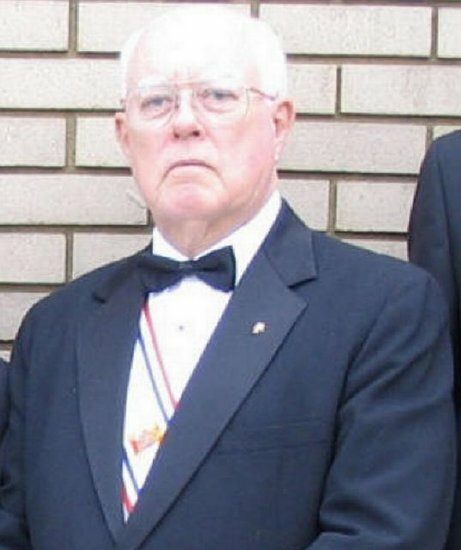 Claude Cruz Wathen III, a member of St. Stanislaus Catholic Church for more than 35 years and a Knight of Columbus for more than 43 years, died at the age of 66 on August 21, 2006. Cruz, who became a Knight on April 1, 1963, joined St. Patrick Council 10567 several years ago as part of the establishment of a Parish Round Table between St. Patrick and St. Stanislaus. He was an active member of Council 10567 and a member of Bishop Joseph A. Durick Fourth Degree Assembly 2399 after he made his Fourth Degree on February 26, 2005. Cruz was married for 42 years to Thomasine Wathen and they had four children: Christopher Wathen; Elizabeth Tucker; Katherine Aiken; and Claude Cruz (Boogie) Wathen, IV. Cruz had six grandchildren at the time of his death: Christopher Jr., Nicole Wathen, Amanda Chandler, Courtney Chandler, Victoria Tucker, and Blaine Tucker. Cruz retired from Liberty National Life Insurance Company after more than 25 years of service. He officiated high school football for 25 years. Cruz was an officer of the Fairfield Elks Lodge and a member of the Fairfield Moose Lodge. Cruz also taught insurance classes at UAB for several years prior to his death. Editor's Note: We welcome any contributions to this page from any friends or family of our brother Knight Cruz Wathen. If you were one of the many who celebrated the life of Mr. Wathen and you have any comments or stories about Cruz that you would like to share, please e-mail Louis J. Muro. We also welcome any photos of Cruz that you might have. To send an e-mail to Mr. Muro to submit comments, click here to go directly to his contact page.